A lovely homemade gift means so much coming from a loved one. This is one of those easy to make gifts to give away. Its also perfect for a little gift for yourself!? Its winter and its a nice treat to give our skin a little extra care and this will not only help scrub away any dry winter skin but it will as leave your skin feeling so soft. 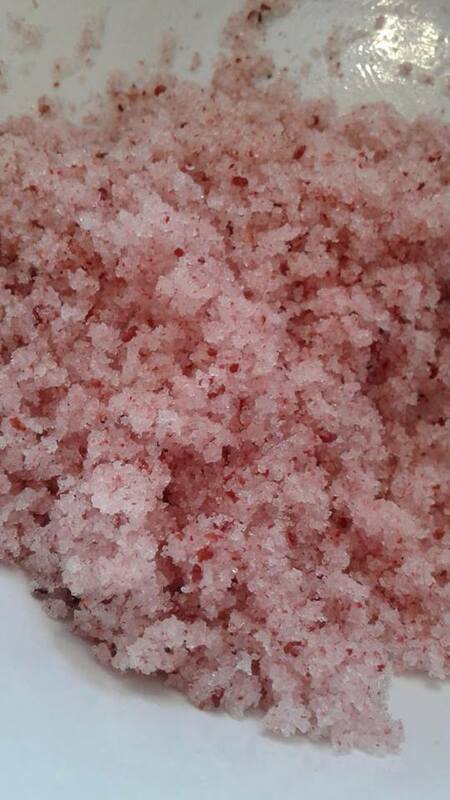 I have a all natural way to add some very pretty red flecks and pink hue to your Sugar Scrub without using any red dyes or red type food colorings. I could have decided to use the coffee grinder to make a fine powder which would have blended in more evenly. 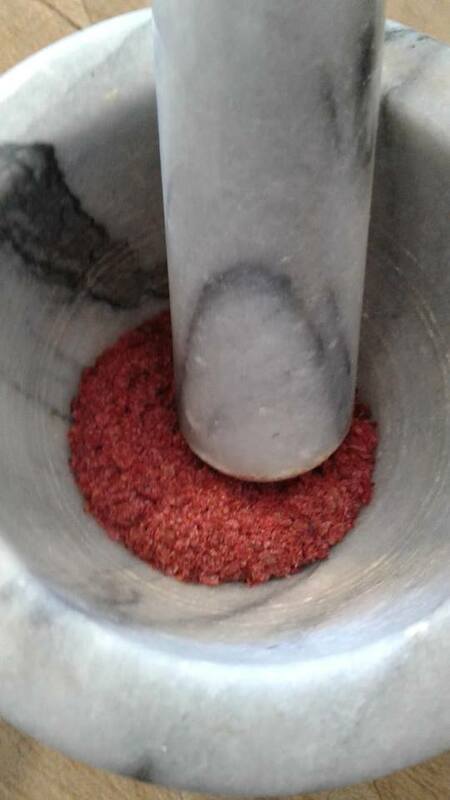 However I choose to finish the grind by hand to give me a bit rougher texture so that I can also have the cleaning power of the tiny bits of High Bush Cranberries seeds. Ground Dried High Bush Cranberries the color on these are outstanding, I grow them here on the farm, make sure they go though there frost to sweeten them, then I use my steam juicer for getting that amazing healthy juice out of them. I save the skins/seeds and dry them and store them for making tea with them. When I wanted to make Pink for Valentine’s Day Scrubs, it just made total sense to reach for them to color the sugar. Mix it up and into a wide mouthed jar or any other tub or pretty box of your choice as long as you can easily get it to come out in scoops for use. This can easily be placed into a wide mouth small canning jar and you can add a ribbon or use a paper muffin liner under the ring as a added cuteness! 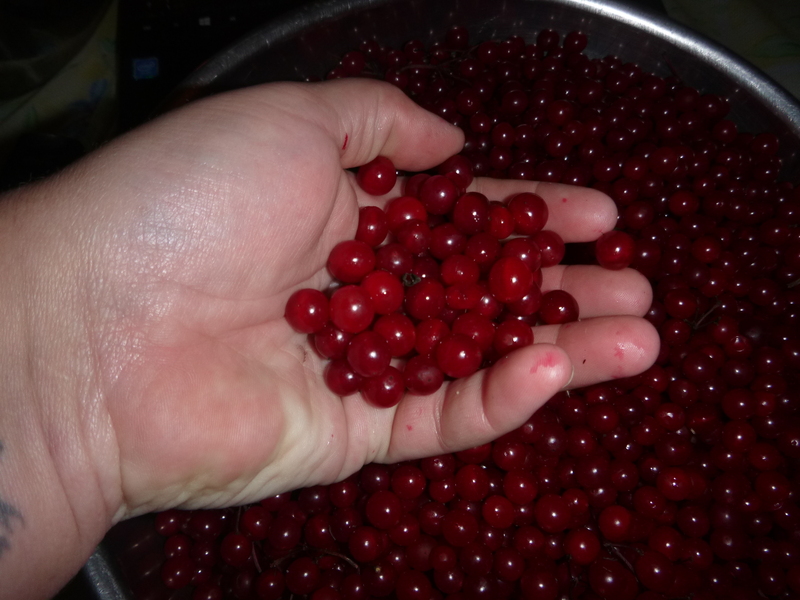 I made up this post, I tried the scrub and just love that the color does not bleed, and my poor hands that have been dealing with cold and wind feel so soft and lovely after their scrub and then I got to thinking that most folks are not going to have dried powdered High Bush Cranberries in their pantry like I do. This would also work to color a salt Scrub the same way! These High Bush Cranberries have been grown on my own land (which has not been sprayed for the 15 years we have owned it) harvested by hand, dried for my own use. I use them in my own homemade tea’s, they add a lovely flavour and color. In very limited amounts, available only to a shipping address in Canada. Payment is required before shipping by Paypal or by E-transfer. 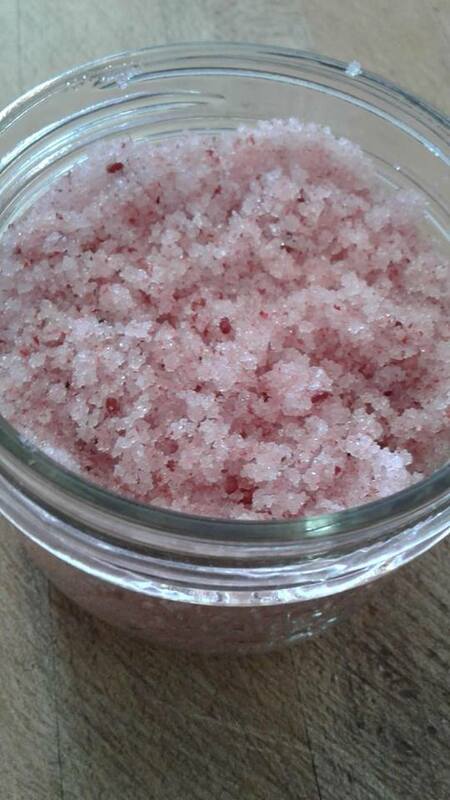 This entry was posted in Health, Homemade Gifts and tagged Dried High Bush Cranberry powder, Farmgal's High Bush Cranberries, High Bush Cranberries skins, Homemade Gifts, How to make a Sugar Scrub, Pretty in Pink Sugar Scrub, Valentines Gift Idea's. Bookmark the permalink. It’s quite beautiful! I think I’d stop to admire it every time I opened the jar. I hadn’t ever thought of using cranberry in any sort of beauty product. Seems kind of silly since I do think of cranberries when it comes to health and taking care of ourselves is part of being healthy.